I was forced to crack the cover on my copy of Konings 4th edition Malawi Cichlids! I think the fish is Otopharynx tetrastigma I know Eric Rogne had some a while ago so the fish has been in the area. 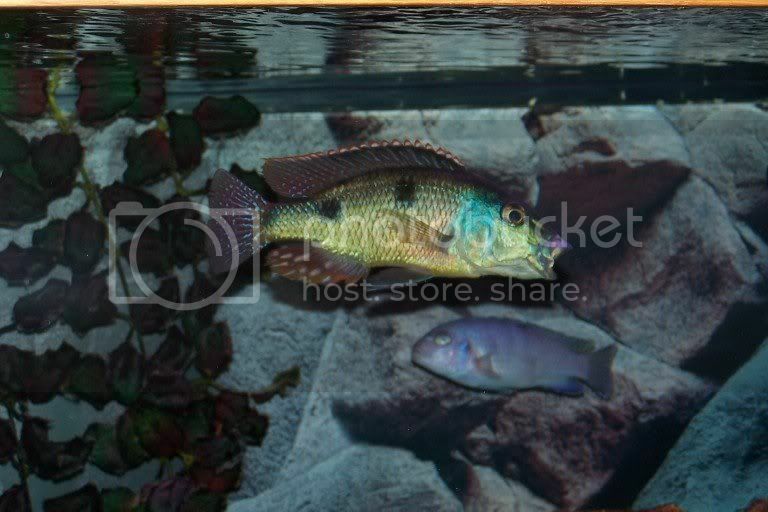 The head profile isn't right for Tramitochromis and the large spots match that of O. tetrastigma. 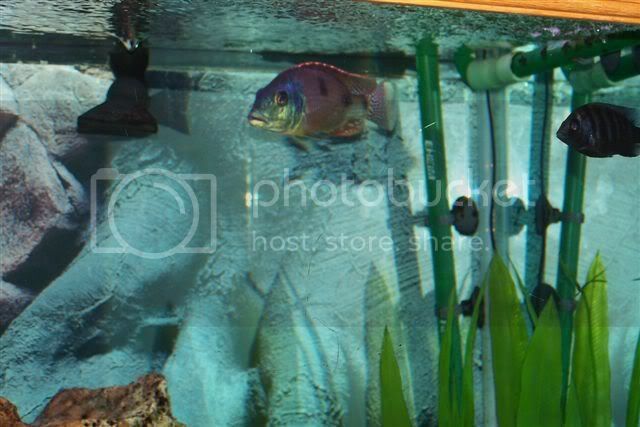 Any chance of a picture with a side view of the fish without a yawn? Too many fish? Never. Not enough tanks? Always! Looks like a Tramitochromis intermedius. Looks like a Lethrinops sp. to me. 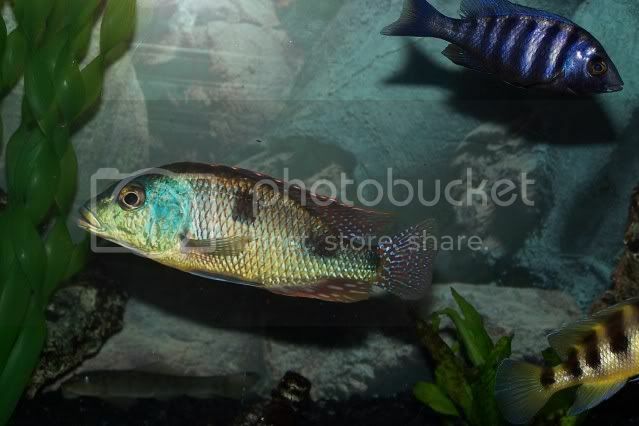 Way to much color to be a Dimidiochromis (the body shape is a little similiar though). 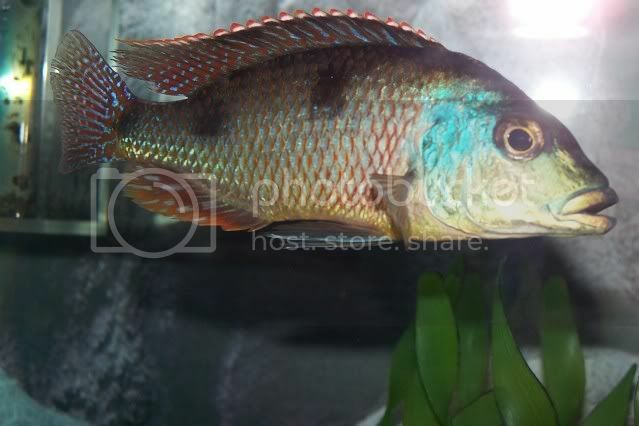 my guess is dimidiochromis conpressiceps but i cant be sure. that first pic is rly sweet though. its hard to take pics like that and have them be clear.